Féile Bríde - Brigid's Festival is a week long series of events running up to Brigid's Day on the first day of February. Féile Bríde, incorporates a Peace and Justice conference in collaboration with Afri - Action from Ireland, workshops, and a candle lit ritual on Brigid's Eve at the well. Seminar with John O’Donohue - Author of "Anam Cara"
Registration: 10.30 a.m. - Day concludes at 3.30 p.m.
Luka Bloom will introduce and conclude John O’Donohue seminar with song. 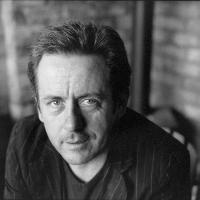 John O'Donohue is an Irish poet and philosopher. He has degrees in philosophy, English literature and was awarded a Ph.D in phiosophical theology from the University of Tübingen in 1990. After Waterford Fringe Festival launched Mary Coughlan and Freddie White’s up close and personal sell out gigs at Bodega customers appetites have been wanting for more than Bodega’s great food. Since September Bodega has hosted 8 music evenings with Mary Coughlan, Freddie White, Eleanor McEvoy and Maria Doyle Kennedy. Each gig sold out in days and are booked weeks and months in advance – so now it's time to look forward to 2007. Having tread the boards of stages all over the globe, 36 years of craft honing has given Luka Bloom from Newbridge a place on the music map.... performed live in Bodega for the first time. Having trod the boards of stages all over the globe, 36 years of craft honing has truly given this troubadour a place on the music map. Turning 50 in 2005, Luka has brought his songs to clubs, theatres, festivals, bars, arenas and dives all over the world. From singing his songs around the US, gigging with The Pogues, the Violent Femmes, The Dixie Chicks and the Hothouse Flowers and signing with Warner Music in Los Angeles, this man never shys from a challenge. Now, 10 albums on, Luka Bloom’s musical journey has brought him to a place where songs seep from every pore, and melodies celebrate the ordinariness of life. 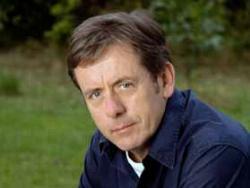 Luka Bloom is an accomplished folk-rock singer-songwriter, who delighted audiences at Christmas with a charity gig performance 'Songs for Beslan' in Riverbank. Bloom's pseudonym. 'Luka' is taken from the title of Suzanne Vega's song 'Luka' and 'Bloom' refers to the main character in James Joyce's Ulysses. Luka's style of guitar playing is very distinctive and is generally referred to as 'electro-acoustic.' He toured America frequently through the Nineties, although his contemporary touring schedules take him mostly to Europe. His early albums showcased his strumming style, including 'Delirious' the debut track on Riverside, and his penchant for thoughtful cover songs, an affinity that he maintains even in more recent work. Released in 2000, Keeper of the Flame was an album of cover versions, featuring renditions of ABBA's Dancing Queen, Bob Marley's Natural Mystic and the Hunters and Collectors' Throw Your Arms Around Me among others. Bloom had previously covered LL Cool J's I Need Love and Elvis Presley's Can't Help Falling In Love on the album The Acoustic Motorbike. Bloom is often heard to remark in concert about Natural Mystic that "...there are considerable similarities between Jamaicans and Irishmen". Bloom's 2004 acoustic mini-album, Before Sleep Comes, was recorded while Bloom was recovering from tendonitis. Bloom stated the purpose of the album was 'to help bring you closer to sleep, our sometimes elusive night-friend'. Bloom released his most recent album Innocence in 2005. Many of the songs feature a new found interest in Eastern European gypsy music and other World music. In his previous work, he relied on steel-stringed guitars that created his distinctive style. His aubergine and yellow guitars were often introduced by name at gigs. The most recent album features a more classical guitar and the resonant plucking associated with that style of instrument, which you can experience for yourself at the Riverbank Arts Centre. Catch him on home turf at the Riverbank Arts Centre on Wednesday 14th February at 8pm, Admission €20. To book drop into the Box office or phone 045 448333 or email: boxoffice@riverbank.ie. Popular artist Luka Bloom (aka Barry Moore) will be back on home ground on Valentine’s night, Wednesday 14 February, for a performance at the Riverbank theatre. The performance at the Riverbank starts at 8pm on 14 February and admission is €20. For bookings, contact the Riverbank on 045-433480. Welcome to Children in Crossfire's principle tenth anniversary celebration - a two day International Conference on Children's Rights. The keynote speaker for this event is His Holiness, the 14th Dalai Lama of Tibet with a host of other well known personalities also taking part. We would like to mark this milestone in the charity's history by inviting you to be a part of the conference. This event is very important to us as we reflect on our achievements to date and create a vision for our work in the future. Children in Crossfire was set up over ten years ago with the mission of challenging global poverty and promoting social justice. I know personally that the work of Children in Crossfire through our partner organisations and our supporters has not only improved many peoples quality of life but also actually saved lives. We have been involved in projects in places like Ethiopia, Kenya and we are currently helping to build a school for a village in Tanzania. We are absolutely honoured that His Holiness has accepted our invitation to be the keynote speaker at this two day conference. There will be a dynamic range of speakers alongside His Holiness including Jane Olson of Human Rights Watch, veteran journalist Fergal Keane and Irish Minister for Foreign Affairs, Dermot Ahern. Renowned musicians Christie Hennessy and Luka Bloom will also be taking part in the event as well as up-and-coming singer Garrett O'Hare. This will be an occasion not to be missed by anyone who has an interest in children's welfare. 'A Promise for the Future' is not just about dialogue, it is about every single one of us finding an active role to play in society in protecting children and helping them realise their potential as global citizens. This conference seeks to put the issues of children at the forefront of people's minds through the words of His Holiness, our guestspeakers and the workshop facilitators. This is a great event for Derry/Londonderry and Northern Ireland and we hope children all over the world will benefit from it. Children in Crossfire is celebrating its 10th anniversary with a 2-day International Conference on Children's Rights and has announced His Holiness, the 14th Dalai Lama of Tibet, as the keynote speaker for the event. There will be a dynamic range of speakers alongside His Holiness including Jane Olson of Human Rights Watch, veteran journalist Fergal Keane and Irish Minister for Foreign Affairs, Dermot Ahern. The conference is made up of a variety of workshops on different issues relating to the Rights of Children, where delegates from a wide variety of sectors will get the opportunity to exchange experiences and engage in critical dialogue. His Holiness the 14th Dalai Lama closed the 2 day conference on 18th July with an address in the Millennium Forum. In front of an audience of 1000 people, His Holiness talked about the importance of compassion, forgiveness and tolerance, and he called Richard Moore, Director of Children in Crossfire, "my hero" for his ability to forgive. Welcoming His Holiness the Dalai Lama here this evening as the keynote speaker at the International Conference on children's rights and "A Promise for the Future", Mr Richard Moore, Director of Children in Crossfire told the conference delegates and guests that his organisation could not find a better person in the world than His Holiness to address the conference marking the organisation's 10th anniversary. The Dalai Lama has spoken of his joy at the renewed efforts for peace in Northern Ireland. Speaking at the Guildhall in Londonderry yesterday, the exiled Tibetan leader said that the last time he left Northern Ireland after the Good Friday Agreement he felt pained after meeting victims' families. Having tread the boards of stages all over the globe, 36 years of craft honing has truly given this troubadour a place on the music map. Like many Irish families then and indeed today Luka comes from a family of singers and writers first going on tour with older brother, Christy Moore, in 1969. It was a tour of English folk clubs and he was fourteen years of age. Turning 50 in 2005, Luka has brought his songs to clubs, theatres, festivals, bars, arenas and dives all over the world. From McGanns in Boston to The Tivoli in Brisbane to Red Hot Club in Newbridge. Children in Crossfire, the Derry/Londonderry based charity today welcomed his Holiness the 14th Dalai Lama of Tibet to Derry as part of their 10th Anniversary celebrations. The Dalai Lama was the keynote speaker at a 2-day conference organised by Children In Crossfire in conjunction with Derry City Council to explore issues around the rights of children, gender inequality and the UN Convention on the Rights of the Child. His Holiness' commitment to the promotion of human values such as compassion, forgiveness and tolerance has made him an ideal choice to lead the high profile platform of speakers at this event to celebrate Children in Crossfire's tenth anniversary. Children in Crossfire is an Irish based charity committed to the needs of children caught in conflict and poverty throughout the world. The aim of this conference is to raise awareness of children's rights both locally and globally. Richard Moore Director of Children In Crossfire is delighted about how this conference will put the needs of children on an international stage. He said, "We are absolutely honoured to host His Holiness, the Dalai Lama in Derry/Londonderry for our two-day conference. His Holiness will speak to delegates alongside a dynamic range of other guests including Jane Olson of Human Rights Watch, veteran journalist Fergal Keane, Michael Kitt, Minister of State for Overseas Development and Assistance in The Republic of Ireland, The Northern Ireland Commissioner for Children and Young People, Patricia Lewsley, poet Cecil Rejenda and author Jimmy Briggs. This high profile list of speakers adds to the fantastic entertainment planned in performances by renowned double platinum classical artist Hayley Westendra, Christie Hennessy and Luka Bloom. It is real boost for Derry and for the charity to host an event of this size and stature..."
The conference took place at The City Hotel & Millennium Forumin Derry/Londonderry on 17th and 18th July with the closing event. It's not often that over 100 young people from Kildare get the opportunity to engage creatively with issues relevant to their lives. And to do so using the medium of theatre makes the Wyeth Kildare Festival of Youth Drama a unique event not only in the county but nationwide. Youth groups from all over the county and beyond have been preparing for the annual five-day marathon of workshopping, creating and performing. This is the 5th annual festival of youth drama and as such it’s bigger than ever. Kildare Youth Theatre (KYT) are joined by Griese Players (Ballitore), Celbridge Youth Drama, Prosperous Drama Society, Carlow County Youth Theatre, and very special guests Tri-boo from Florence and West Lothian Youth Theatre (Edinburgh). This is also the 5th year that Wyeth (Newbridge) has been the festival’s title sponsors. Johnny Lyons, from Wyeth Newbridge, says that "Wyeth (Newbridge) is proud to support this vibrant and innovative festival. We recognise its importance in developing critical skills, citizenship abilities and providing creative outlets for our young people, and thus strengthening the fabric of community here." The rainy weekend weather failed to deter the revellers at the Lughnasa festival in Rathangan. Some events had to be curtailed a little, especially those planned for outdoors on Saturday on Sunday, but temporary shelter in the form of gazebos permitted most of the events to take place. "We were able to make arrangements to combat the problems associated with the weather for the most part and there were only a few showers during the Damien Dempsey concert. Overall it was a great success and it wouldn't have been possible without the help of sponsors including Brendan Sharpe Security Ltd. and voluntary helpers" said committee member Niamh O'Donoghue. 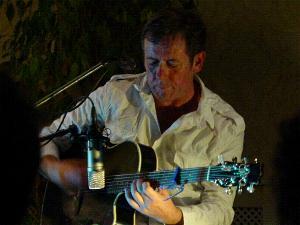 Luka Bloom - Wednesday 15 August / 8:00 p.m.
"Some musicians grow wizened by the road; Luka Bloom has thrived on it." Renowned singer/songwriter, Luka Bloom launches his new album titled TRIBE at Rathangan Community Centre on September 6. Tickets cost 20 euro. Book early as there is only a limited supply. Phone 086 8945357 for further details. Tickets are being sold at Next Door off licence in Rathangan. "...full of reflective tunes where Bloom's lyrical abilities shine. Normally a one-man music machine (writing lyrics, composing, and playing), Bloom shares credit for Tribe with producer and co-writer Simon O'Reilly." Tickets cost 20 euro. Book early as there is only a limited supply. Phone 086 8945357 for further details. 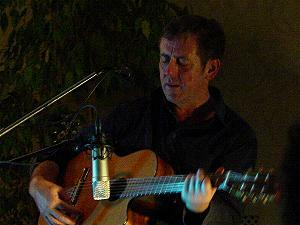 Kildare singer songwriter Luka Bloom will launch his new album TRIBE in Rathangan Community Centre on Thursday 6 September. A special concert will coincide with the release of the Newbridge native’s new record. In the run up to the launch, he describes his thoughts behind his latest collection of tracks: "I hope that you at this moment will think of yourself as a human being rather than as an American, Asian, European, African, or member of any particular country. These loyalties are secondary. If you and I find common ground as human beings, we will communicate on a basic level. Thus spoke the Dalai Lama. These words are a good way to describe how I feel about this new record TRIBE, and especially the title track," he explains. "In Autumn 2005, I was sent a copy of Tidelines, an album of original instrumental music composed and recorded by Simon O’Reilly. It’s a lovely record, but I immediately was intrigued with the possibility that Simon and I might do some work together." That possibility turned into a reality and the collaboration between the two artists has resulted in TRIBE, what Luka describes as "a unique project" in his working life. Tickets cost €20 and are available from Paddy O’Loughlin on 086 8945357 or from Next Door off licence in Rathangan. Tickets are limited so get them early. Doors open at 8.30pm. Don’t miss this unique opportunity to hear Luka Bloom perform these new tracks in concert for the first time. Release Date: September 10, 2007. Label: Big Sky. Distributor: Proper Music. Album Launch September 2007, Mon 3. The Pigalle Club, 215 Piccadilly, London, W1J 9HN. Reservations 0845 3456053/Venue 020 7734 8142 - Doors 7:00 p.m. 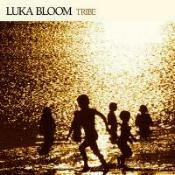 Folk singer Luka Bloom is to release his 15th album Tribe. The musician's latest album is to hit the shelves on September 10th, 2007 (UK release), with a launch party in London's The Pigalle Club on the 3rd. The album is the result of a collaboration with fellow musician Simon O'Reilly. Bloom - younger brother of Christy Moore - may be known for his distinctive guitar-playing, but his style is virtually absent on his latest album. He remarks that 'for once in my working life I got to simply be a singer'. Over the course of his 29-year career, Bloom's albums and performances have been heaped with critical acclaim. Many of his songs - such as 'City of Chicago' - have also become folk standards worldwide. I loved the atmosphere in the church in Cologne, the amazing energy of Tivoli in Utrecht, the buzz of the cinema in Lausanne......But in truth the highlight of my year was the moment in Derry when I sang for his holiness the Dalai Lama at the 10th Anniversary of Children in Crossfire. In a moment like this you feel the sense of privilege you should feel every night, being given the opportunity to sing for people. And this event in Derry resulted in a second highlight of my year. Namely the opportunity to sing with the beautiful and gifted Christie Hennessy, who died on December 11th. Christie knew he was dying, and was determined to finish his record, despite the incredible difficulties associated with this determination. He wrote a song about Richard Moore of Children in Crossfire and the Dalai Lama. He asked my brother Christy and I to sing the song with him for his last record. Friends, colleagues and fans remember Christie Hennessy. Edward Christopher Ross (Christie Hennessy), singer, songwriter and labourer: born Tralee, Co Kerry 19 November 1945; married 1965 Gill Erickson (one son, two daughters); died London 11 December 2007.................... He was planning a major tour and was working on a new album of duets when stricken by cancer, thought to be a result of asbestos poisoning contracted during his years working on building sites. The album, The Two of Us, will be released in January. The album that Tralee singer-songwriter Christie Hennessy was working on at the time of his death is due for release early in the New Year. A duets collection, it teams the 62-year-old up with such friends and admirers as Christy Moore, Luka Bloom, Paul Brady, Frances & Mary Black, Maire Brennan and Nizlopi (who sampled one of his compositions, 'Don't Forget Your Shovel', on their number 1 hit, The JCB Song'). Kerry-singer will be sadly missed. He was also very involved with the "Crossfire" charity and wrote a song about one of its victims. This track is on his CD of duets with Christy Moore, Francis Black, Luka Bloom and others, recorded recently and due for release in early 2008. I am glad Christie's talent was recognised by this paper several years ago when you gave him an Irish World Award. In recent times, Christie had been busy composing for BBC TV, having written the theme music for the series "Get Well Soon". Much-loved Christie Hennessy never drank alcohol and was yesterday held out as an example to all facing the challenges of a drugs culture. In a homily at a special Mass for the late singer/songwriter in his native Tralee, Monsignor Dan O'Riordan, parish priest, said he took a vow as a young man not to drink, or smoke, and lived by that. "In doing that he gave a powerful example in relation to our drink and drugs culture and showed that life could be lived to the full without recourse to drugs," the monsignor said. Soloist was Tralee-born soprano Miriam Murphy, accompanied by Aidan O'Carroll. The St John's choir was directed by Mons Pat Ahern. Hermione Hennessy sang Amazing Grace to spontaneous applause, while I'll Walk Beside You was sung by Luka Bloom at the end of the ceremony. A lone piper, Denis O'Reilly, led the cortege to Rath Cemetery as Tralee folk stood silently on the streets, fondly remembering a man whose songs touched their lives in a special way. That was the message to mourners at singer-songwriter Christie Hennessy's memorial Mass yesterday. Christie's life was a "powerful example" in the current drink and drugs culture, Monsignor Dan O'Riordan told the congregation before quoting the Latin phrase "Bis orat qui cantat" --- which translates as "those who sing, pray twice". Christie did not seek fame or the cult of celebrity, his considerable charity work was done behind the scenes and he held to a commitment made as a young man not to drink or smoke, "a powerful example" in the current drink and drugs culture, mourners at St John's Church, Tralee, Co Kerry heard. Prayers were also said at the Mass for the late Joe Dolan. A lone piper led the funeral cortege through the streets of Tralee, accompanying the ashes of the 62-year-old singer song-writer who died from asbestosis in London on December 10. His remains were afterwards buried in the town's Rath cemetery . The three gifts brought to the altar by his daughters Hermione and Amber and son Tim included a guitar, a statue of Our Lady to symbolise his devotion to her, and the miniature messenger bike, presented to him by the people of Tralee to mark his well-known song 'Messenger Boy'. Hermione sang 'Amazing Grace' and the singer Luka Bloom sang 'I Will Walk Beside You'. Welcoming Christie Ross Hennessy back to St John's parish church, Monsignor O'Riordan said the singer was baptised there at four days old in November 1945, and had afterwards received his first Holy Communion and his Confirmation...... Christie's wife Jill, who also led the scripture readings, said he had a profound effect on other people, as a family man, a talented singer and also as a healer of many years standing. She had no words to express how much she and his family missed him. More than 1,000 people - family, friends and fans - packed St John’s Church in Tralee to bid a tearful farewell to the late great Christie Hennessy who has been laid to rest in the town he loved so well. With the town centre church filled to overflowing, many mourners stood out-side in the rain to pay their own silent tribute to the original Messenger Boy. Christie composed a host of famous songs, including Messenger Boy, Don’t Forget Your Shovel, Roll Back The Clouds and Jealous Heart, but despite his ever-increasing fame, he never forgot his roots or engaged in the cult of celebrity. "Christie was a man who brought joy and love to so many people by the simple messages delivered from the heart with musical skills and from a warm and genuine personality," Monsignor O’Riordan said. "Christie was a messenger boy in more ways than one," he added. "The cult of celebrity was something Christie never sought," the Tralee priest suggested... "Since he died the phrase "a child-like gentleman" is probably the most commonly used expression to describe him," Monsignor O’Riordan added. Tributes were paid during the ceremony by RTÉ’s Aonghus McAnally and by Richard Moore of the Children in Crossfire charity of which Christie was a patron. But perhaps most fitting were the musical tributes which included Tralee born soprano Miriam Murphy, who was accompanied by Aidan O’Caroll and the St John’s Choir under Mon-signor Pat Ahern. Christie's daughter, Hermione, delivered a powerful rendition of Amazing Grace and his friend, Luka Bloom performed I'll Walk Beside You. After the ceremony Tralee stood silent as a lone piper, Denis O’Reily, led the way from St John’s to the Rath Cemetery, pausing briefly outside the shop where the young Christie served his time as a messenger boy. Earlier this year, Christie was diagnosed with asbestosis, possibly picked up from his years spent working on the building sites. He was determined to keep busy, and was working on a documentary, and an album of duets with people like Christy Moore, Luka Bloom, Tommy Fleming, and my sister Mary.